During our recent visit to Uganda, we were privileged to visit Namuwongo Slum to see the work being carried out by Joseph and the team at Uganda Hands for Hope. What a fantastic project it is! 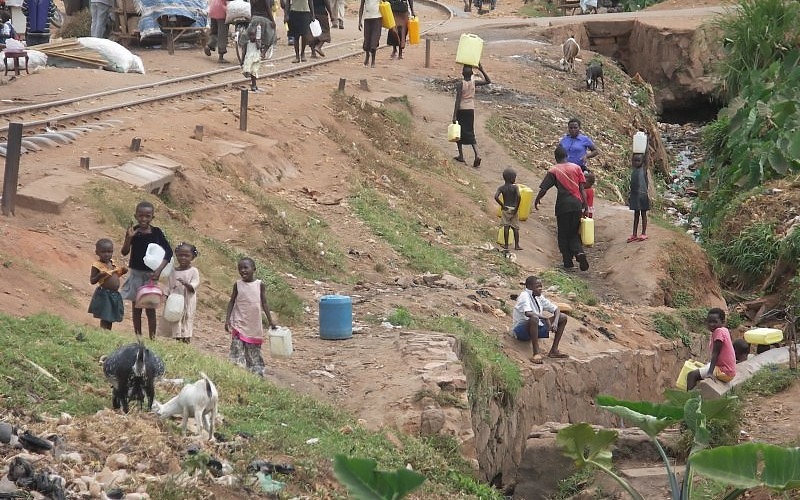 Uganda Hands for Hope is a non-profit organisation working with the residents of Kampala’s informal urban settlements. They pride themselves on having a close working relationship with their beneficiaries and for their “hands-on” approach to their work. They assist the most vulnerable by providing opportunities to acquire the necessary skills to help themselves and their community, focusing mainly on the needs of local women and children. All who visited were deeply touched by the poverty and conditions which these people are living in. 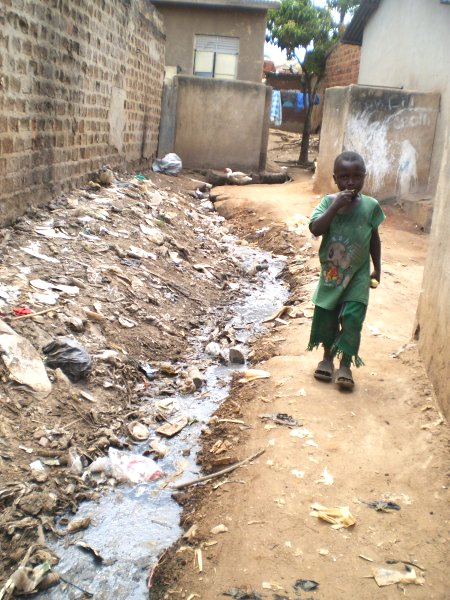 Between 7,000 and 10,000 people are living in Namuwongo slum. There are open sewers running throughout the slums, and during heavy rains, the slums are flooded and the sewerge washed back up through the homes. 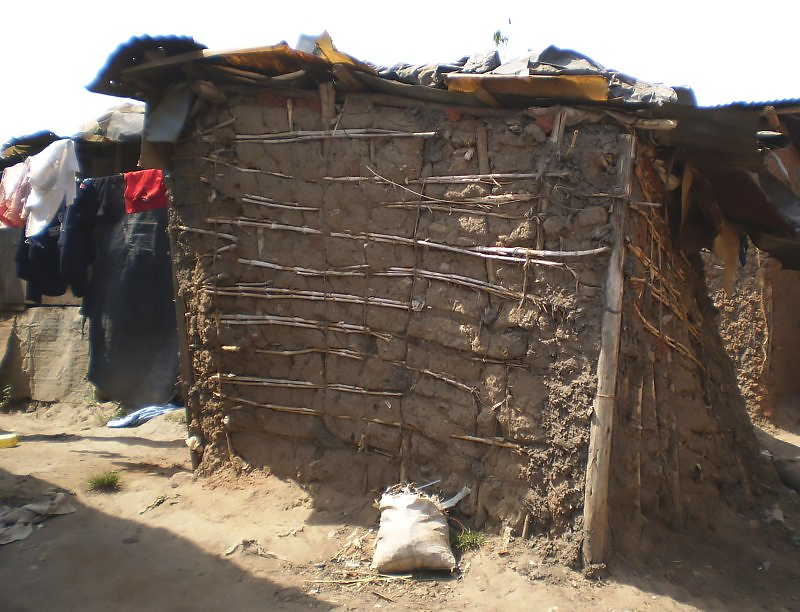 Throughout Namuwongo slum there are people who are being helped by Uganda Hands for Hope. There are many exciting projects which help mothers start or improve small businesses, keep unsponsored children off the streets and prepare them for school, and a child sponsorship programme which pays for school fees and also provides each sponsored child with a school uniform, two meals a day, and school supplies including textbooks. Uganda Hands for Hope also provides access to an emergency medical fund – a safety net for families that cannot afford treatment – and regular medical check ups by their trained medical staff, as well as financial and emotional help to the family through the more difficult times. Currently Uganda Hands for Hope have nearly 200 sponsored children going to school, more than 50 women have been assisted in starting or improving their business through their occupational support programme and more than 100 young children attend their nursery, but there is much more to do.